The Wild Cards universe has been thrilling readers for over 25 years. David D. Levine's "Discards" introduces Tiago Gonçalves, a teenager who scrapes collecting recyclables from the landfills of Rio de Janeiro. But after the Wild Card virus infects him, he learns to build something more. 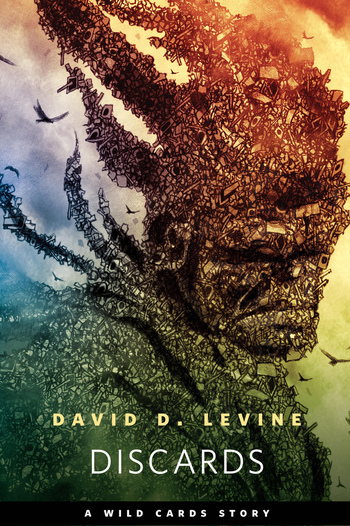 DAVID D. LEVINE is the author of over fifty science fiction and fantasy stories. His story "Tk'Tk'Tk" won the Hugo Award in 2006, and he has been shortlisted for such awards as the Hugo, Nebula, Campbell, and Sturgeon. His stories have appeared in Asimov's, Analog, F&SF, five Year's Best anthologies, and his award-winning collection Space Magic. He lives in Portland, OR with his wife, Kate Yule. Arabella of Mars is his first novel.